Supreme Court –an album sheet signed by all nine Justices of the Court that sat untouched through Roosevelt’s first term. It was arguably FDR’s worst political call as President. The Court blocked several key New Deal laws prompting FDR to try to pack it with new Justices. The Court packing bill sparked a strong political backlash. The divisive challenge to the Court’s independence was averted when Justice Roberts threw his vote in favor of a New Deal law he previously opposed. 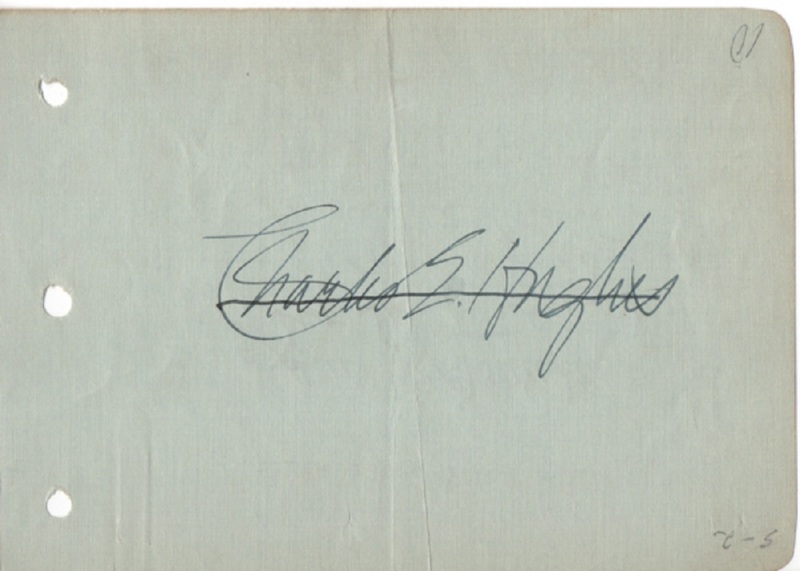 The vote was quickly dubbed as “the switch in time that saved nine.” The sheet is signed twice by Chief Justice Charles E. Hughes on one side in the middle of the page which he crossed out and then on the other side allowing room for all the Justices. 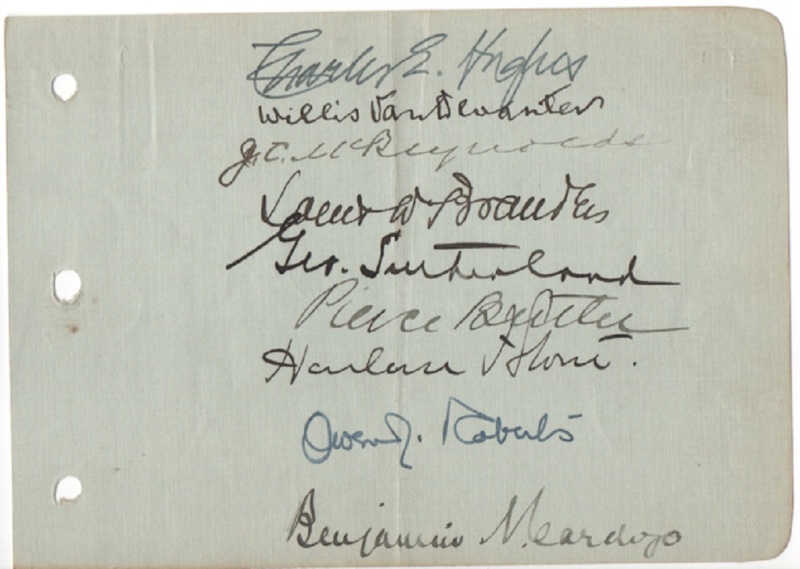 The page is also signed by Willis Van Devanter, James McReynolds, Louis Brandeis, George Sutherland, Pierce Butler, Edward Sanford, Owen Roberts, Benjamin Cardozo and Harlan Fiske Stone.